Devine Ozigbo, a three-star running back out of Sachse (Texas) High School, committed to the Huskers on Jan. 9, becoming the 15th known member of Nebraska's 2015 recruiting class. As the lone ball carrier in the class, Ozigbo fills a need for NU. The Huskers lost one-time running back commit Kendall Bussey to Tennessee. At the time of Ozigbo's commitment, the 5-foot-11, 225-pound prospect was the first member of NU's recruiting class from Texas. Sasche is a northeast suburb of Dallas. Under then-coach Bo Pelini, Nebraska signed three Texans to its 2014 recruiting class. The Huskers have signed a recruit from the Lone Star State in every class since 2000. 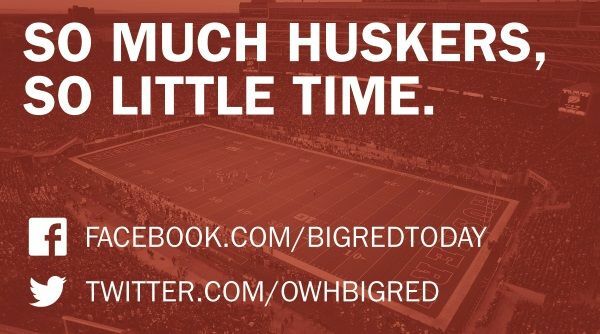 Husker coach Mike Riley, who took over the program in early December 2014, posted a celebratory Twitter message shortly after Ozigbo's announcement. Ozigbo is rated as a three-star prospect by the major recruiting sites, and was an Iowa State commit before defecting to Nebraska. The morning he was offered, Ozigbo had first dibs on a spot in Nebraska’s recruiting class until 9 p.m. that day. NU coaches offered the running back in the morning. They told him they’d offer two more running backs they liked at 9 if Ozigbo wasn’t completely ready to switch his commitment from Iowa State to the Huskers. Nebraska’s newest commit needed only until 4. He’d take the spot. He announced it on Twitter. And he got ready to help the Huskers finish out their recruiting class by late evening. A full day in the life of a high school football player. Iowa State coaches were disappointed, Ozigbo said, in part because he’d been one of the key peer recruiters for the class. He tried to lure Nebraska basketball commit Michael Jacobson to ISU’s football class, for example, only to learn Jacobson preferred hoops. ESPN's subscribers-only analysis of Ozigbo notes the back's impressive size, tackle-breaking ability and comprehension of blocking schemes. According to ESPN, Ozigbo "displays good power and strength as a runner. Can get to the hole and allow creases to open and burst through to second level. Has good speed." With some physical development, ESPN projects Ozigbo to be a "high-level BCS" caliber athlete. In a statement on Twitter, Ozigbo expressed thanks to the Cyclone staff before announcing his decision to become a Husker. Ozigbo ran for 845 yards and 15 touchdowns as a senior, according to the Rowlett Lakeshore Times, plus added 24 catches for 433 yards and four scores. As a junior, Scout.com says Ozigbo rushed for 947 yards and 13 touchdowns while catching 23 passes for 311 yards and two TDs. But he team was more pass-heavy than most. On signing day, Ozigbo was happy to be a Husker and enjoying the support of Husker Nation. In addition to the Huskers and Cyclones, Ozigbo also held offers from Iowa, Boise State, Miami, Mississippi State and Wisconsin, among others. After committing to Iowa State last July, Ozigbo told the Des Moines Register “I have a chance to change the face of the school,“ adding that he wanted to help the Cyclones compete for Big 12 titles. Ozigbo joined The World-Herald for a live chat on signing day, read the transcript here. Our take: He’s a stockier guy, able to power through arm-tackle attempts. But he’s comfortable operating in space, too. Screen plays and checkdowns could be his specialty.